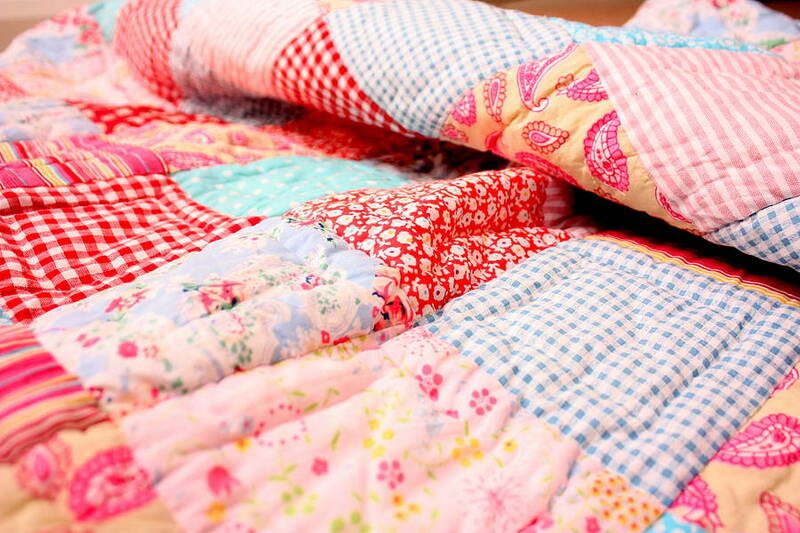 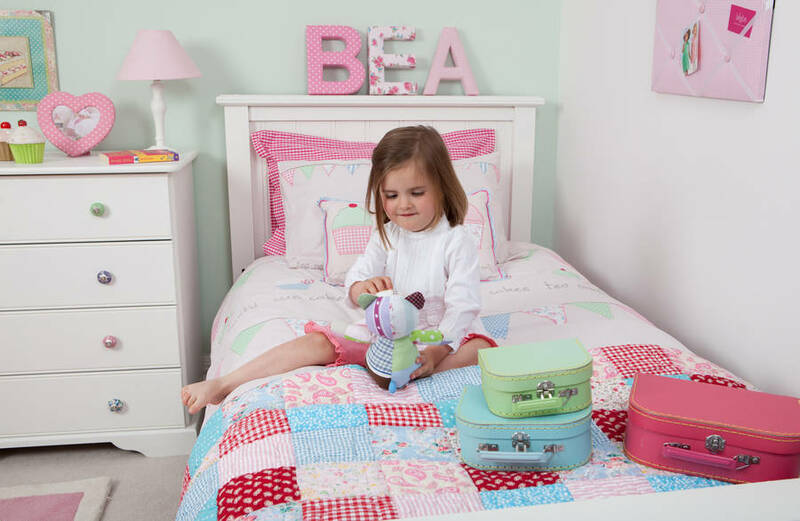 This stunning girls patchwork quilt features a combination of spotty, stripe, floral, paisley and gingham fabrics in shades of pinks, blues, and reds. 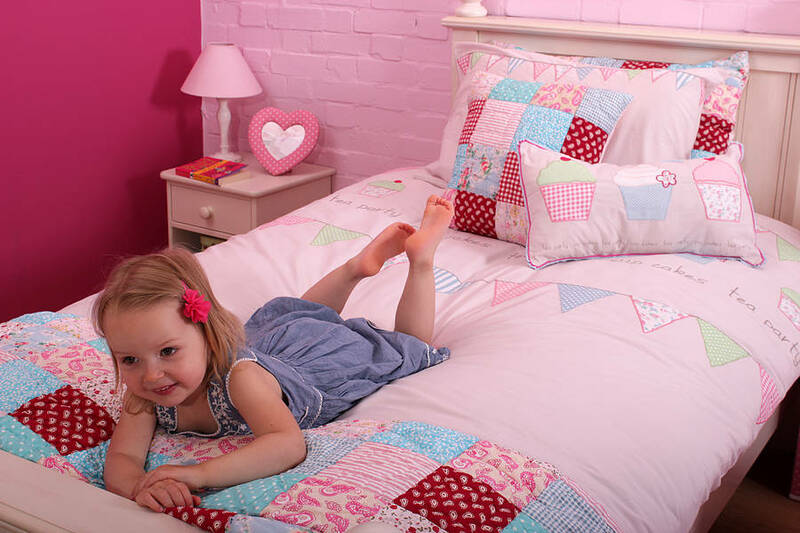 Hand quilted from 100% cotton, this design classic is perfect for both toddlers and older children. 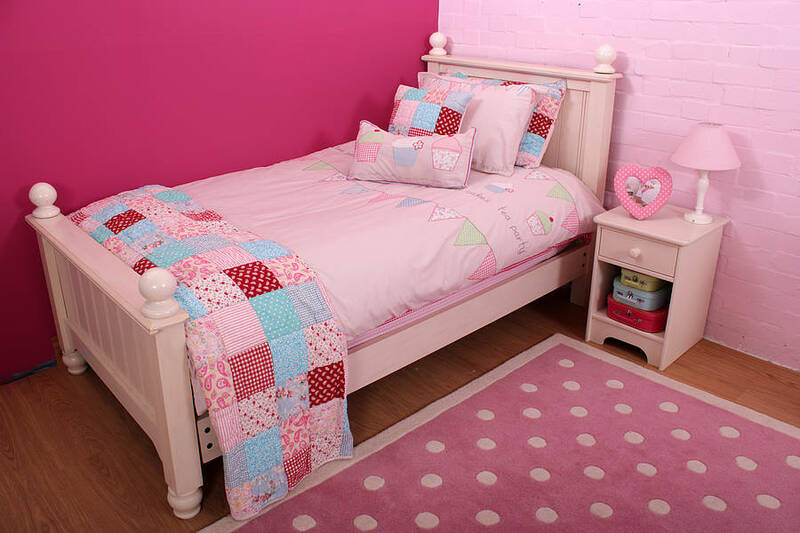 A design that your child won’t outgrow for years. 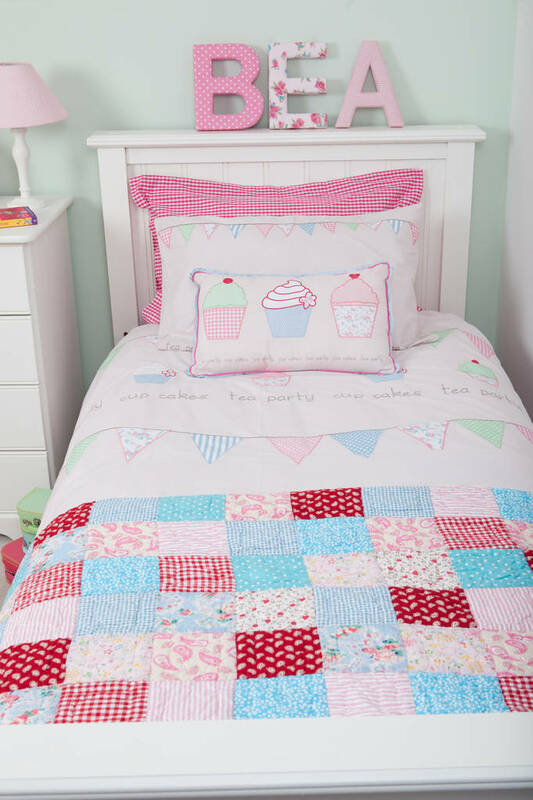 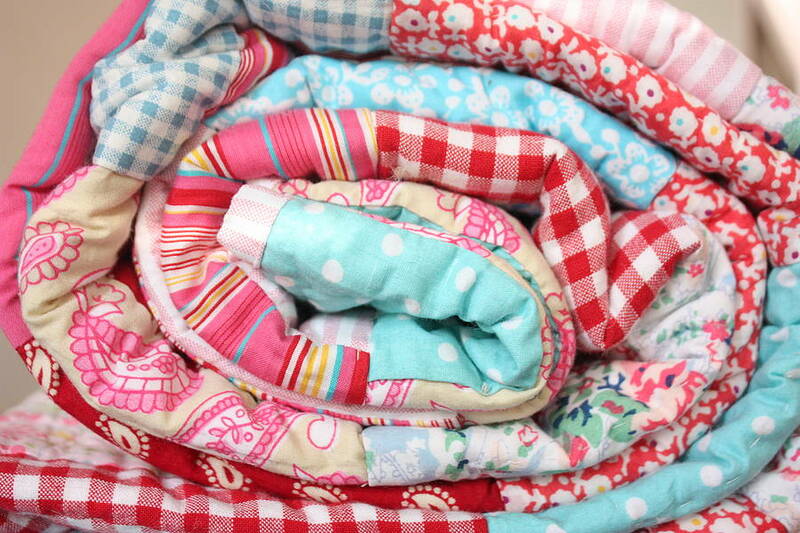 Matches perfectly with our Tea Party duvet sets, and Matilda pillowcase and cushion as shown in the pictures. 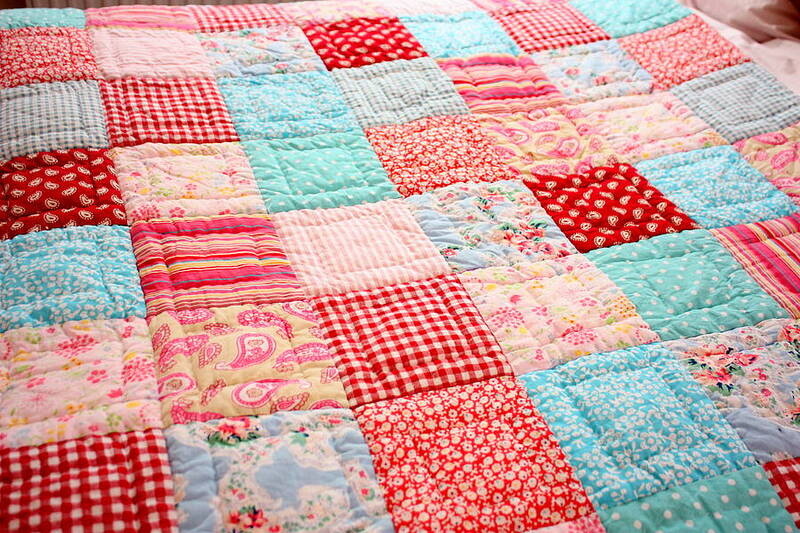 This quilt is available in a single size and a cot bed size. 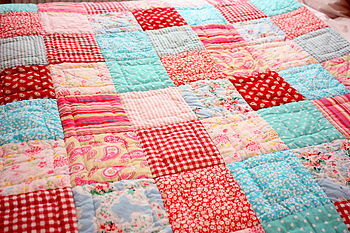 Please select size required from the drop down menu.